Welcome to Bäckdalens Nursery in the beautiful area of Bjärehalvön, northwest of Skåne, in the southern most county of Sweden. 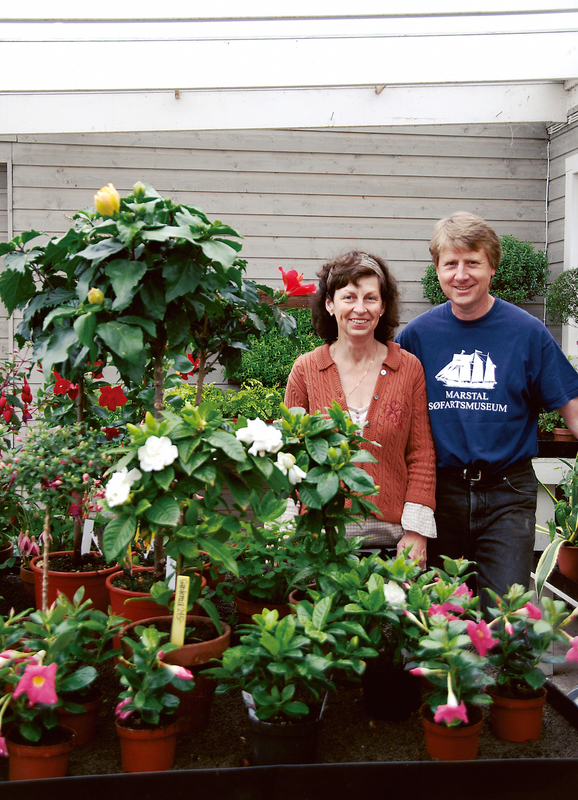 I`d like to introduse our family; Anders Olsson, gardener and ”committed home baker” who is married to Margaretha Oscarsson, horticulturist & passionate amateur chef. We live with Gustaf, our teenage son together with our dog Molly. Our daughter and son Sofia & Calle no longer live at home. Finally we also have three cats who love to patrol the greenhouses and few chickens that live in our hen coop. 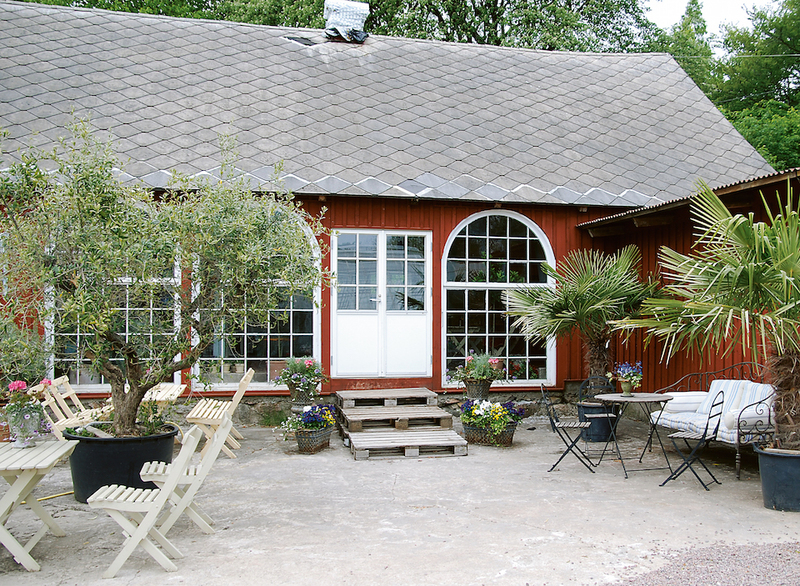 For the last 25 years we have lived in the little cosy village of Hallavara close to the nature reserve Hovs Hallar which is situated on the cape of Bjärehalvön. Our passion is to grow all kinds of organic fresh herbs, tomatoes, chillies, cucumber, beans and other salad crops. Most of it is grown in a quaint old wooden greenhouse from bygone era, but we also have an outdoor garden that we call ”The Back”. We love to cook delicious, tasty vegetarian dishes flavoured with herbs straight from the garden and bake fresh bread & cookies. We also make own marmelade, chutney and preserves again using the harvest from our garden. The beautiful scenery that surrounds is never-ending inspiration for our gardening and cooking passions. We blend traditional Swedish recipes with the best of rural Italian cuisine which we serve in our ”Cafè Orangeriet” situated in the garden. Please join us there for a typical ” Swedish fika ” with homemade cookies, buns & cakes, juice and as much freshly brewed organic fairtrade coffee as you can drink. And finally if you`d like to learn how to bake bread or make tomatoechutney and other preserves we`d love to teach you. We speak English and some German and Danish. Take the train from Malmö/Copenhagen to Gothenburg and get off at Båstad Station where we will collect you and transport you to our home. Travel time approx 1,5 hours Malmö-Båstad and 2 hours from Copenhagen-Båstad. We hope you will come and visit us very soon! 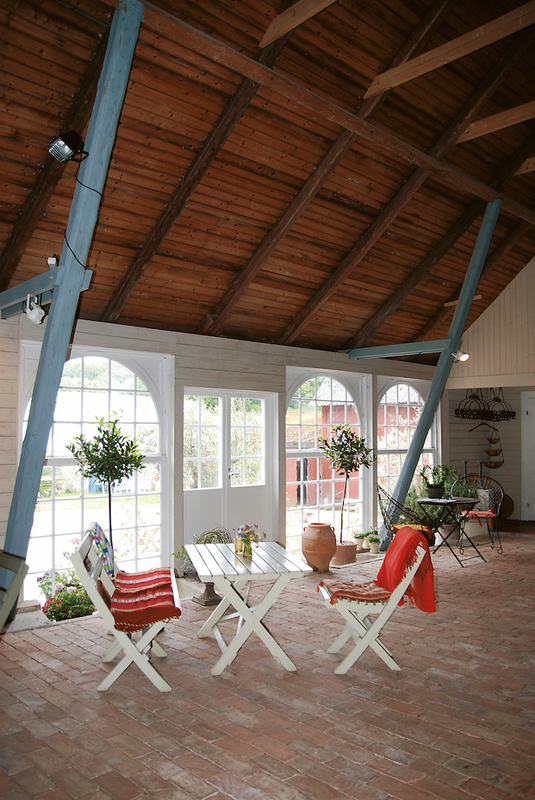 Our web site Bäckdalen, welcome!